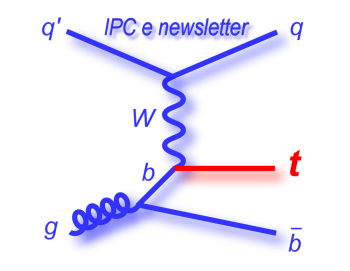 Welcome to the May 2013 edition of the IPC e-newsletter. The IPC e newsletter is distributed free to more than 4000 people around the world. With an innovative use of titanium dioxide pigment in its facade, a new hospital in Mexico City is able to convert nitrogen oxide in the air into harmless chemicals. In 2011, Alcoa (NYSE:AA) officially unveiled a building panel that could “eat” pollution out of the air. Not only that, but the panel, using the chemical reaction of titanium dioxide and sunlight, could also clean itself. The original panels were unremarkable, modest looking pieces of aluminum, but the use of silver titanium dioxide pigment they were painted with triggered a burst of innovation. Now, less than two years since Alcoa introduced the technology, the science of buildings that literally digest pollution is on the verge of entering mainstream architecture. Marine coatings company Jotun has announced that it plans to phase out lead chromates from all of its paint and coatings formulations. As part of its Jotun GreenSteps initiative, lead chromates, a toxic chemical compound, will be phased out in 2014. Lead chromates are used in the manufacture of paints and varnishes, and applications relate to products requiring protection against corrosion or bright colours with a good resistance. According to ECHA, the European Chemical Agency, lead chromates have been given a ‘sunset date’ of 21 May 2015, which means that use of the substance after that date requires authorisation<more>. Electroplating equipments and auxiliary equipments; Electroplating raw materials and additives; Electroplating industry zone, detect equipments; Anti-corrosion materials and equipments; water treatment. Painting/Coating wire,Coating engineering design,Painting/Coating equipments and auxiliary equipments; Industry coating products; thermal spraying equipment. Standard/Manual Shot-Blasting Machine, Peening Machine, Sand Blasting Machine, types of Spray Gun, Spray Nozzle, and Glove, etc. Steel Shot, Stainless Steel Shot, Steel Grit, etc. All kinds of Lapping Machine, types of Polishing Machine and Polishing Fluid, types of Deburring Equipments. Other methods about Mechanical Finishing or Preprocessing. Hosted by CSEA(China Surface Engineering Association), The 2nd International Symposium on Surface Finishing Industry Development and Friendship Party for Global Associations will be held as the concurrent meeting of SF EXPO 2013 on May 21st,2013 in order to promote new technology and communications in the development of global surface engineering industry, quick industrial development and fierce market competitions. Its 2011 session has invited over 200 attendees. Experts from USA, Korea, Brazil and India delivered 8 professional speeches. Based on the experience of the 1st session, expert representatives of this session will share the surface engineering industry information, show the regulations about environmental protection and waste treatment and exchange experience in association management to assure a sustainable growth. How to strengthen global cooperations in foreign trade, to solve new problems, to create new trade platform and opportunities. Worked with Kansai Nerolac Paints Ltd.
as a Sales Executive looked after OEM customer ( Key Accounts ) like Tata Motors Ltd. (CVBU)and their Ancillaries. Srinagar: Berger paints India ltd. India’s second largest decorative paint company organized dealers’ meet at Nageen Club Srinagar. On the occasion dealers from all the districts of Kashmir valley were Present. Speaking on the occasion Vikas Mahajan (ASM) Berger Paints India Ltd. discussed about company plans of expansion in the valley. Changes in Americoats India Pvt. Ltd.
Jaidip RoyChoudhary has informed IPC in his email, "Americoats India Pvt Ltd has been bought by a high profile industrialist group. We are now knows as "Royal Spectrum Private Limited." from 15th April, 2013; though our Brand Logo “AMERICOATS” remains the same". We will keep you udpaded on any new developments. PPG Industries said today it completed its $1.05 billion acquisition of Akzo Nobel's North American architectural coatings business. The purchase, the second largest in PPG's history, strengthens the Pittsburgh company's paint and coating business, which is anticipated to benefit from a revival of the U.S. housing market. "PPG has expanded its reach in all three major distribution channels, including home centers, independent paint dealers and company-owned paint stores," chairman and CEO Charles E. Bunch said in a prepared statement. Antifoulings manufacturer Jotun has launched SeaLion Resilient, a high performance marine coating based on epoxy-polysiloxane technology. Following extensive research and testing, Jotun has introduced the industry’s first anti-fouling coating that includes epoxy-polysiloxane, a compound of resins and hardeners that provides highly resilient hull protection. When combined with Jotun’s proven Fouling Release Coatings (FRC) technology, the epoxy-polysiloxane in SeaLion Resilient prevents settling of organisms on the hull and produces a glossy, smooth surface optimised for owners seeking to reduce costs related to dry-docking and maintenance. According to the agreement, JOTUN will provide KidZania's kids with the Paint House experience, being the exclusive paint partner of KidZania, while catering for all needed paints for the kids' activities. The Paint House has always been an important educative and entertaining activity within the edutainment concept of KidZania. Akzo Nobel, one of the world's leading paint and coatings companies, will close production facilities in Germany to help offset the impact of weak European demand, executive committee member Werner Fuhrmann told Dow Jones Newswires in an interview. A unique atomic-scale engineering technique for turning low-efficiency photocatalytic "white" nanoparticles of titanium dioxide into high-efficiency "black" nanoparticles could be the key to clean energy technologies based on hydrogen. COLUMBUS, Ohio – A South American butterfly flapped its wings, and caused a flurry of nanotechnology research to happen in Ohio. Researchers here have taken a new look at butterfly wings and rice leaves, and learned things about their microscopic texture that could improve a variety of products. The Giant Blue Morpho butterfly (foreground) is among natural objects that inspire Ohio State engineers Bharat Bhushan (left) and Gregory Bixler (right). For example, the researchers were able to clean up to 85 percent of dust off a coated plastic surface that mimicked the texture of a butterfly wing, compared to only 70 percent off a flat surface. In a recent issue of the journal Soft Matter, the Ohio State University engineers report that the textures enhance fluid flow and prevent surfaces from getting dirty – characteristics that could be mimicked in high-tech surfaces for aircraft and watercraft, pipelines, and medical equipment. A new technology, developed at Queen’s University, could see contaminants, ice, fingerprints and graffiti losing their grip on a wide range of surfaces. Discovered by researchers Guojun Liu and Dean Xiong (Chemistry), the coating has shown promise in repelling undesired water and oil-based deposits on multiple surfaces including glass, metal, wood, ceramics, plastics and fibres. GCC Coatings continues to provide educational materials to potential clients and customers with its latest powder coated wood curing article. The company is building a wood powder coating virtual reference collection to help spread the word about how the process works as well as the features and benefits of its use. In its latest full disclosure article, powder coated wood manufacturer, GCC Coatings, explains the types of heat ovens that could be used to cure a powder coat. The newest article provides a concise, yet in depth analysis of the three curing ovens being used by powder coat wood manufacturers. Curing is the final stage of the process; occurring just before the parts are packaged. During this crucial step powder coated parts are rapidly heated to the optimal curing temperature. Giving the parts time to cure allows the powder to create a strong, durable bond. In ‘There’s More Than One Way to Cure a Powder Coat’, the company also reveals which cure method it uses and why. The world's largest chemicals maker, BASF, has said it will cut 500 jobs at its plastic additives and pigments divisions in the face of lower-cost competition from Asia. The company says the jobs will be shed by 2015. The biggest losses will be in Basel, Switzerland, where 350 jobs will be cut. They come on top of a restructuring programme which aims to lift earnings by 1bn euros ($1.3bn; £850m). The company said the current cuts were prompted by a "changed market environment". It added it would make the cuts "in a socially responsible manner", and would try to find other jobs for those affected within other BASF companies. 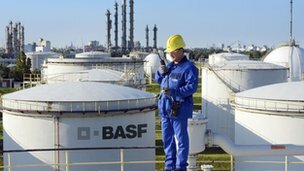 BASF plans to move further into the area of specialised and higher profit-margin chemicals. Last month, it said it was combining its water, oilfield and mining solutions businesses, resulting in about 200 job losses. PPG Industries has opened an automotive coatings center in China that will focus on the development of automotive coatings in the country. China witnessed an output of 1.89 million tonnes of TiO2 in 2012 and the output in 2013 is expected to increase by 10%-15%. “An innovation is something new or different that has been successfully brought out into the world and creates a positive impact. It can be something new or different, because most innovation is about renewal, or taking a fresh look at existing inventions or capabilities. I talk about innovation every day. It’s what we do at PCR Group. And I find that Bill O’Connor’s words ring true. There’s no doubt that we technologists invent things. As a matter of fact a couple guys on our staff recently filed a patent application for some really cool powder technology. Inventions are one thing. If you take the sum total of powder coating inventions granted by the United States Patent Office since 2001 your search yields 441 patents. Surely not all of these have made the impact that would qualify them as innovations. I would say the vast majority are quirky little ideas spawned in the laboratory by scientists hunkered down around a molecule or two. Whether these inventions are true innovations that bring commercial success is anyone’s guess. played it cozy – avoiding projects possible of breakthrough impact because of financial and/or staffing constraints. Some technical managers avoid innovation out of the pure fear of making blunders. In addition plenty of global players have shifted their technical energies to emerging geographic markets where technologists play catch-up with Western technology. You can’t expect innovation in these theaters, at least not anytime soon. perform on molding grade plastics such as ABS, PC/ABS, nylon and polypropylene. Anti-microbial Powders – the next generation of anti-microbial technology will not rely on silver ion mechanisms. These appear to offer better economics and higher efficacy for killing bacteria. control, more precise heating and improved safety. Self-cleaning Coatings – photocatalytic titanium dioxide has been incorporated into powders that destroy the dirt that can accumulate on exterior surfaces. thereby reduces environmental air pollution. UV Color Shift – photochromic powder coatings have been developed that change color with the intensity of UV exposure. Lotus Effect – super hydrophobic surfaces produced by novel powder formulations. new generation of resins offers improved UV resistance and coating smoothness. Some this technology is ground-breaking and some may be the door-opener for new applications and markets. Of course some may be one-hit wonders that break into the industry only to fade into coating technology oblivion begging the question as to why they didn’t make it big. Regardless of the eventual outcome of these forays into uncharted waters, they are a clarion call for all of us to imagine new ways to solve market needs and emerging customer requirements. It is the imagination of the enterprising entrepreneur or the budding young chemist that changes our paradigms. Not all invention delivers impact, but creativity and vision can take a clever idea from a curiosity to innovation. And innovation changes our world. If any of you readers would like further details regarding any of these innovative developments, please drop me a line at kevinbiller@yahoo.com . Regardless of the eventual outcome of these forays into uncharted waters, they are a clarion call for all of us to imagine new ways to solve market needs and emerging customer requirements. I request the reader to share the very useful information to colleague and to their own companies the reader should discusss their problems in powder coating.